In last month's Primary Times magazine, I saw this little ad at the back for a great new numbers game called Numbalee. After reading up on the game and reviews over on Amazon, I decided to purchase this numbers pack for my 6-year-old. My son loves maths and anything to do with numbers which is what drew me to this pack in the first place. 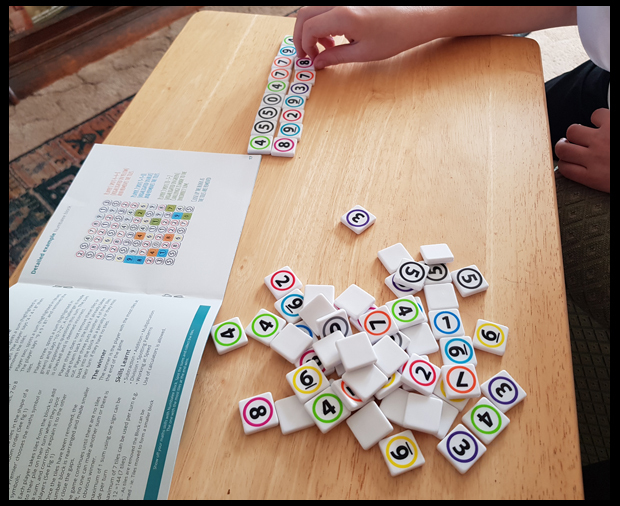 I call it a pack as there are several games you can play from a numbers-based scrabble game to a block where you take away numbers that make up maths calculations. 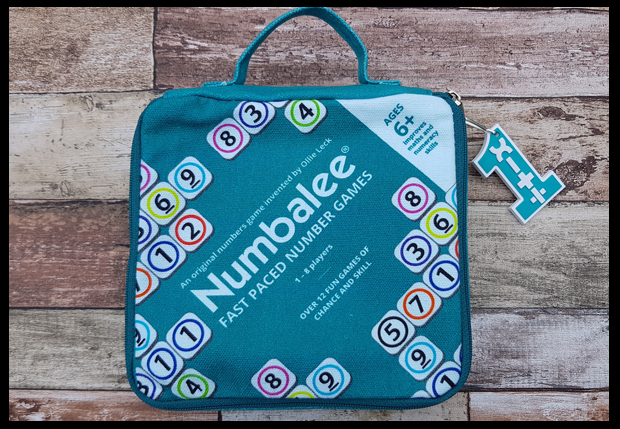 There are plenty of number tiles, number and equation dice and discs to give extra options of games to play. The bag is a brilliant portable size and comes with instructions on how to play 12 different games. Below is a video of my findings and shows in more detail the tiles, bag and discs. 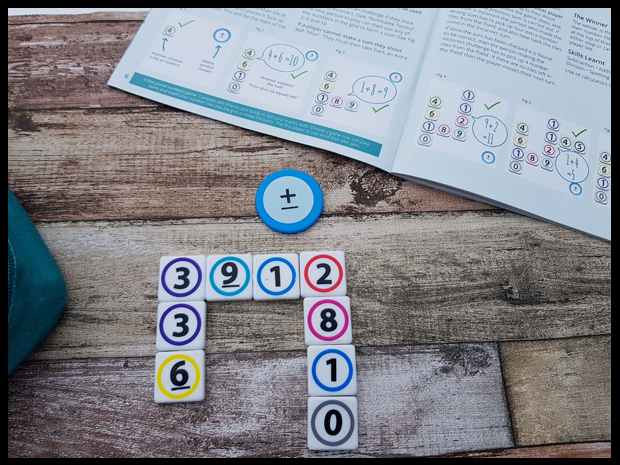 As you can tell I think this is a brilliant invention which will help children of all ages with different elements of maths and numbers, whether it's counting to 10, completing equations or just playing number games. Something for all levels and all ages. 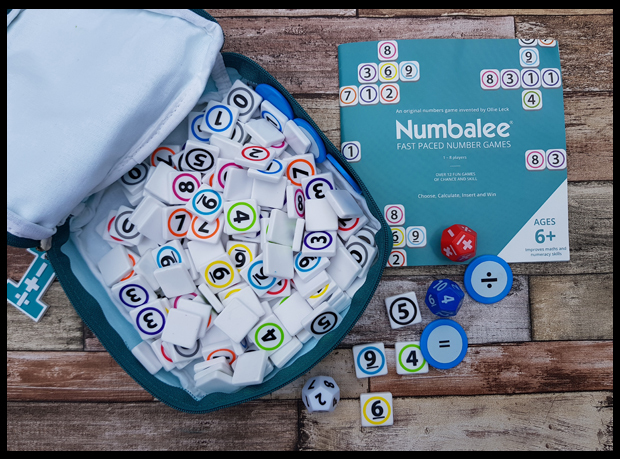 Numablee can be purchased from Amazon for £20.00, but if you're feeling lucky, you can give my competition a go where you can win yourself your own bag of Numbalee, and if you win, do let me know first hand what you think of this numbers pack. To be in with a chance to win a Numbalee pack all you need to do is complete 1 or more of the options within the Rafflecopter below. I like the sound of the numbers-based scrabble game. The number based scrabble game - my daughter love numbers! I like how there are so many game play options. I'm thinking I could probably modify it for the nursery children I work with. i like that it is such a simple idea yet seems to be able to work right from starting to learn numbers all the way to difficult maths problems! I like the idea that there are lots of different games to play so when they have mastered one you can move them on to another!